I was the Leader of the Independent Group of Senators (Taoiseach Nominees), comprised of my fellow senators Fiach Mac Conghail, Mary Ann O’Brien, Marie-Louise O’Donnell and Katherine Zappone. In addition to operating in our individual capacities, coming together on specific issues as a group allowed us to draw on our diverse range of backgrounds, experience and skill sets and to maximise our effectiveness in the Seanad. 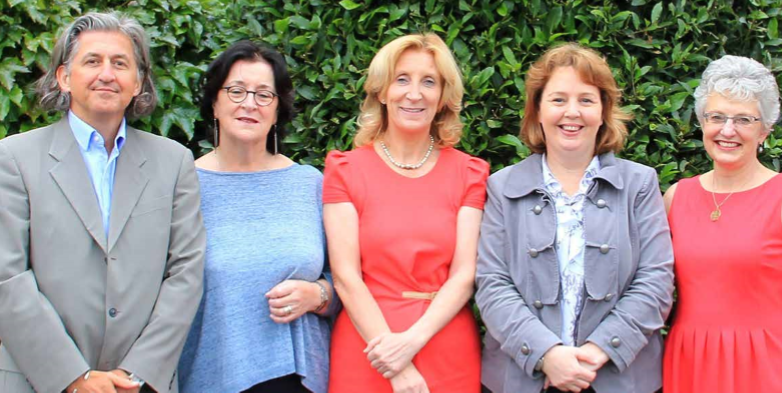 From left to right: Senator Fiach Mac Conghail, Senator Marie-Louise O’Donnell, Senator Mary Ann O’Brien, Senator Jillian van Turnhout and Senator Katherine Zappone.